This is a fantastic 44-residence development in Uptown Denver. The urban lofts have a modern and bold look to them. Turn of the century architecture, superb craftsmanship, and great prices draw most people to the Denver Square. The building has a central common courtyard and private heated parking. It's located lose to City Park, Denver Zoo, shopping, Denver's finest restaurants and night-life, hospitals and more. 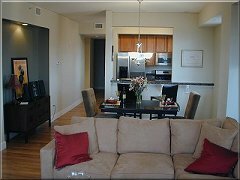 One to two bedroom lofts are available ranging from nine to twenty foot ceilings. 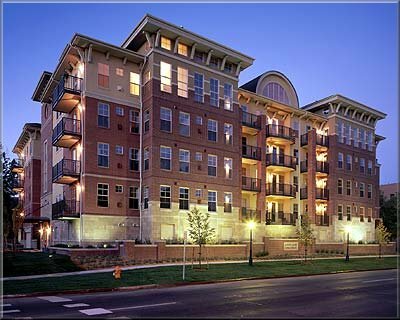 Individual units have walk-in closets, open floor plans, double vanities, fireplaces, balconies, and hardwood floors. Views vary from the Rocky Mountains to the downtown skyline and the Victorian mansions and tree-lined streets of the neighborhood. Price range: You can't beat the prices ranging from $229,000 to the $400,000s.